At book club last night, while we discussed King of the Hill by A.E. Hotchner, we would occasionally sneak peeks at the Cardinal–Red Sox World Series game–it was painful. As always, food is a wonderful balm. 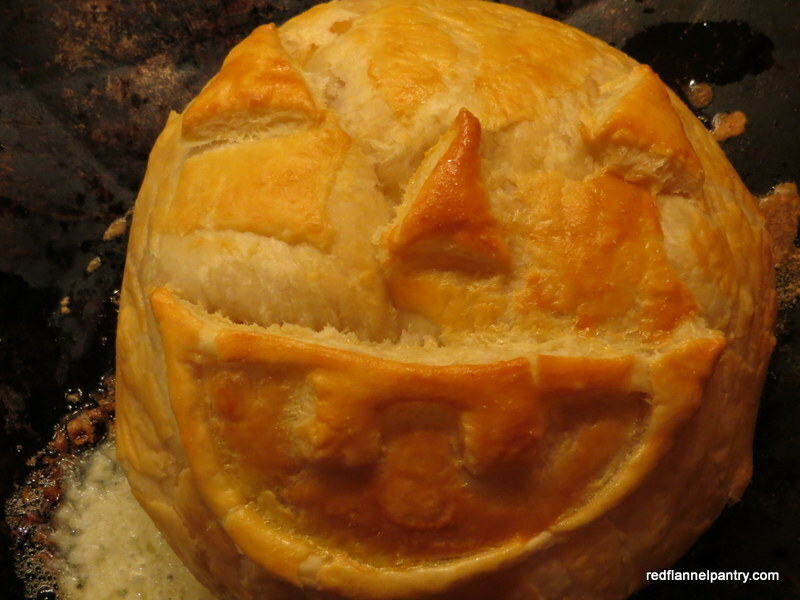 I made an old stand-by, baked brie. It meets my key criteria for company cooking: it has few ingredients, can be made ahead, and tastes great. 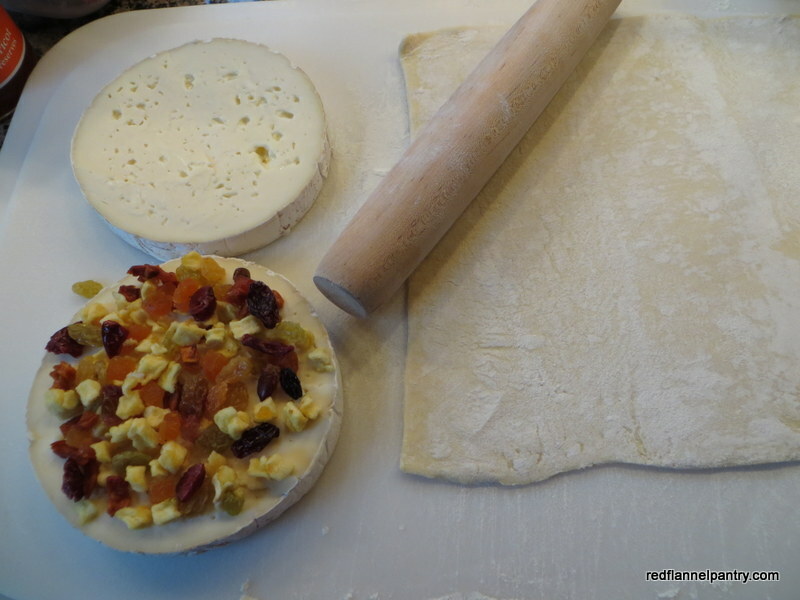 Cut a brie wheel in half crosswise and sprinkle dried fruit bits on the middle. 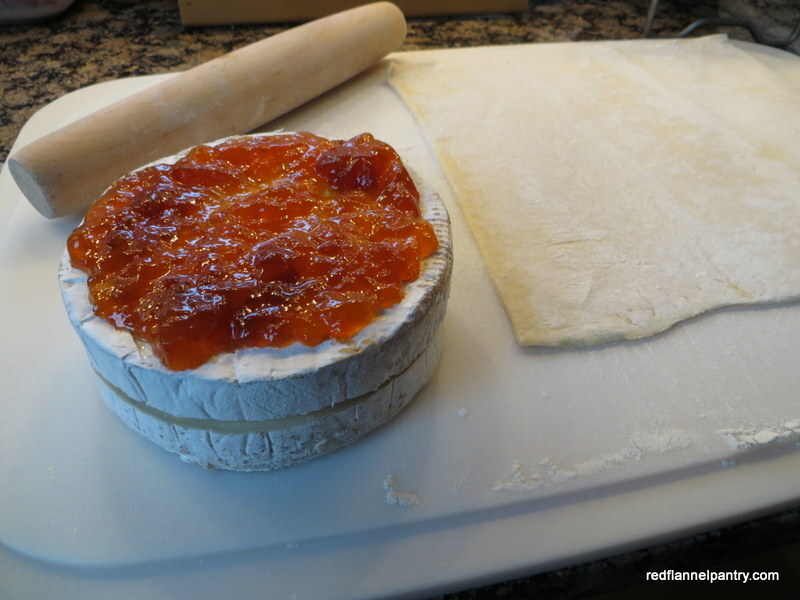 Flip the other half back in place and spoon apricot preserves on top. 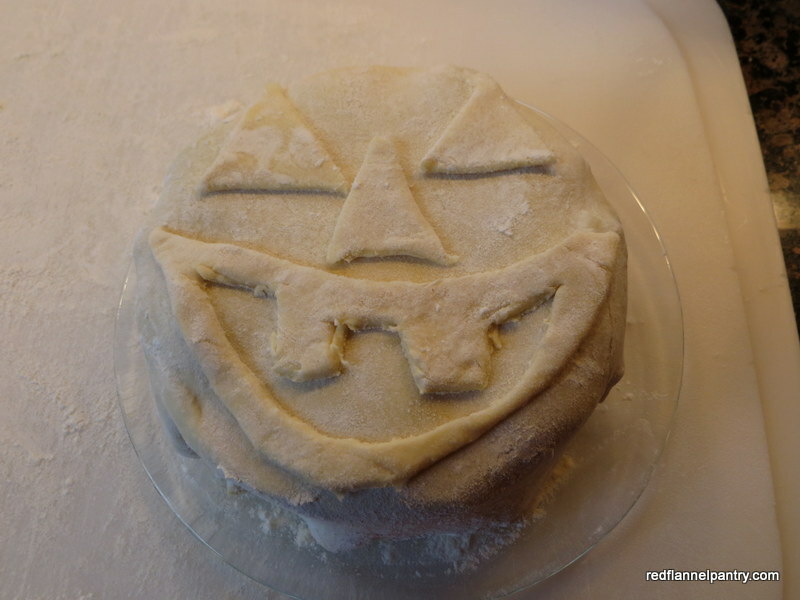 Flip the whole thing onto a thawed and slightly rolled-out sheet of puff pastry and trim the corners. 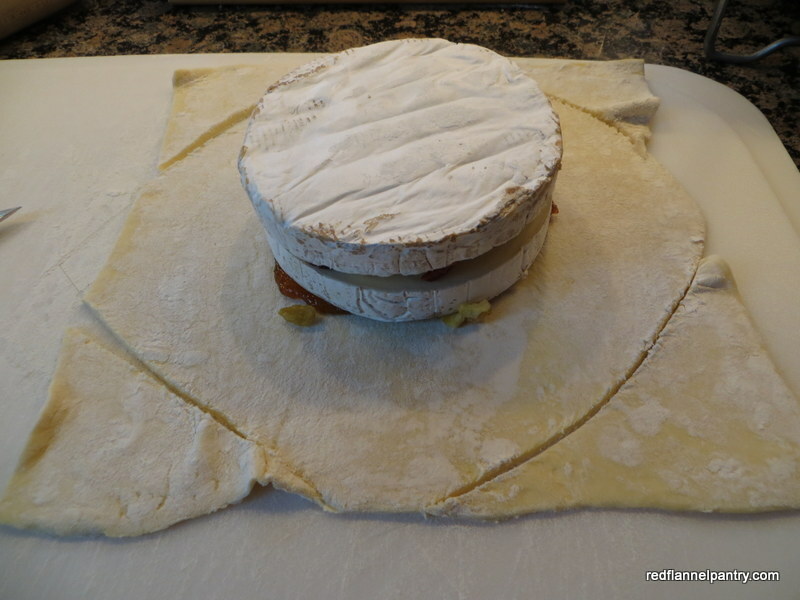 Wrap the pastry around the brie and turn back over. I then use the scraps to cut out decorations. Given my middling artistic ability, I was able to make an especially creepy pumpkin. In this case, lack of talent was an asset! At Christmastime, I cut out holly leaves and berries. If you’d like the recipe, you can find it here.